Human faces elicit emotional responses. In UX design, adding human faces means creating an emotional experience for your users, and therefore, engagement. Furthermore, humans are born with a visual preference for faces, over other images, that begins less than an hour after birth. As UX designers, we can employ faces to influence user reactions or behavior, establish relationships, and earn trust. No matter the type of content on a page, users will almost unanimously gravitate to images of faces first, and text second. Eye-tracking studies confirm this fact as well as the fact that we return to those faces multiple times as we consume the information on the page. That means that a face will, quite literally, give users their first impression of a website, and continue to influence a user’s experience as they go. For UX designers, faces can be a strong tool that, when used correctly, can powerfully enhance an experience. Let’s take a look at some of the ways designers can use faces to their advantage. Thanks to eye-tracking studies, we know that humans follow line of sight in images. In other words, if a human face is present, we look where they are looking. Want to direct your users’ attention to something? A great UX design tip is to add a strategically placed face. The brain acknowledges when it sees a face that's looking at something and will direct attention to that object. 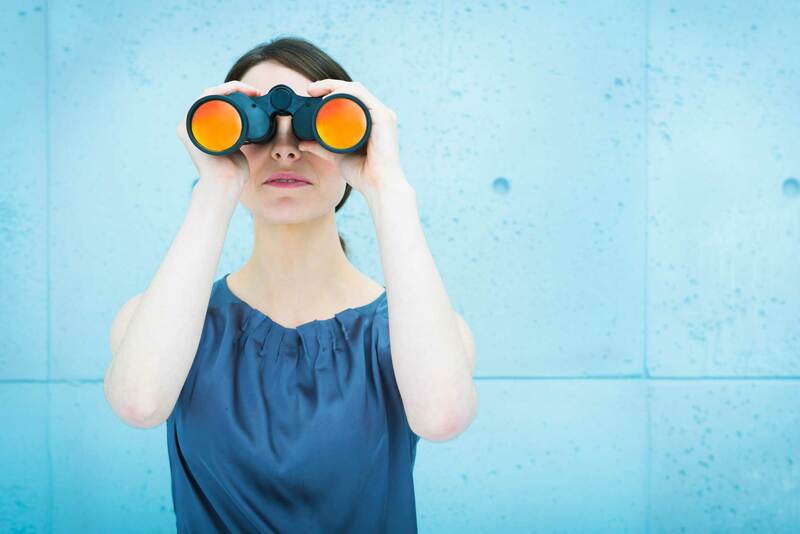 When you navigate to a web page with a large image of someone looking at something, chances are, you’ll look at that thing too. If one person is doing something in an image, it will have a certain effect on a viewer. But if many people are doing the same thing, that effect can be multiplied. Imagine a picture of a large group smiling, or watching a movie, or at a restaurant. This is called a “sphere,” and is a great way to draw a user in and make them want to be part of the group experience. They say a picture is worth a thousand words. This statement can be extraordinarily true for many UX principles, and faces are no exception. For items or actions that are considered “ordinary,” facial expressions can take the place of words. Take the example of Nespresso and coffee. Their landing page could include a decadent description of coffee, but most users are fully aware of what coffee is, how it smells, and what it tastes like. Instead, the company placed an image of George Clooney gazing down at an espresso, smiling contentedly. 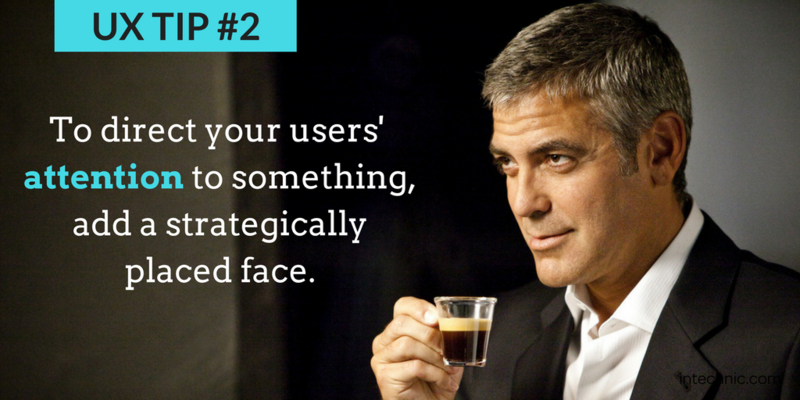 With a single facial expression, Nespresso could communicate effectively with their users. When it comes to recognizing if a face is alive and active, the eyes are more important than any other facial feature. So what does this have to do with UX design principles? 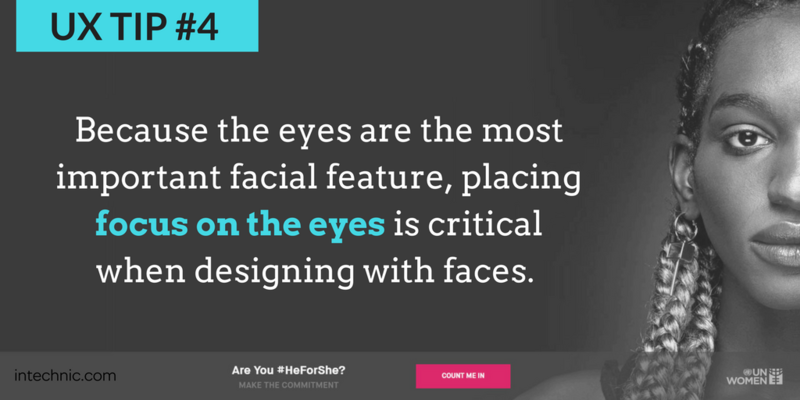 Placing focus on the eyes is critical when designing with faces. One of the most compelling images is that of a face looking directly back at the user, because of their eyes. But designers must be careful with this idea. Direct eye contact can be as distracting as it is compelling. You’re probably familiar with the “About Us” page on most company websites. What you will discover is that most of these pages display images (faces) of CEOs, teams, and other members of the organization. This creates trust, and is especially useful for industries in which trust is imperative (i.e. medicine, child care, etc.). 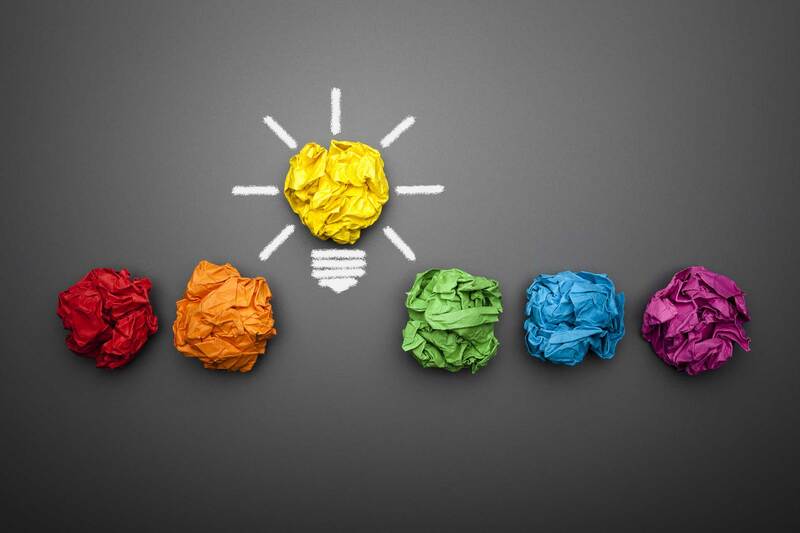 It can take users as little as 50 milliseconds to form an opinion about a website. A face can do this far more quickly than a block of text. Establishing authority lays the foundation for a relationship between you and your users, and faces are an efficient way to achieve a positive connection. One great way to create authority is with the face of a recognizable public figure or celebrity. 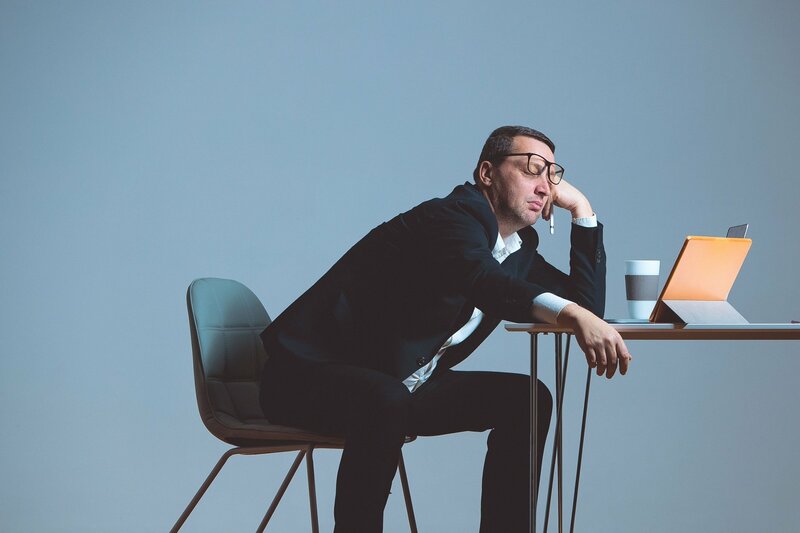 But designers should be careful with this strategy – when appealing to authority, your public figure should also demonstrate expertise for your product or topic. For example, Weight Watchers utilized the face of Jennifer Hudson as an authority following her 50+ pound weight-loss success. The company would not have been nearly as effective with a model without weight-loss experience. 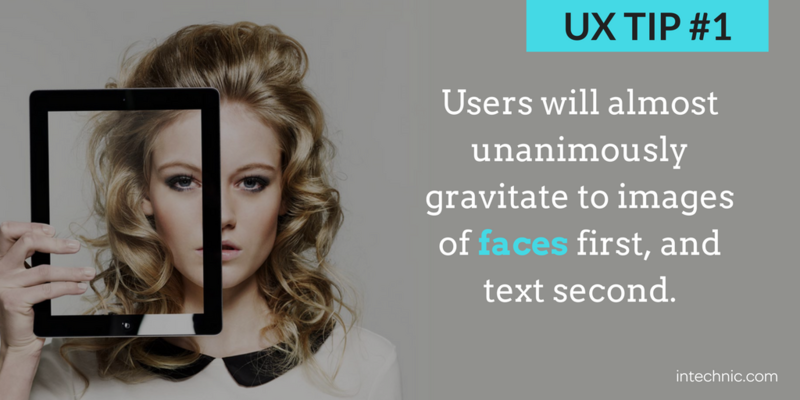 The effective use of faces in UX design can have a profound impact on your users’ experiences. Because we are so drawn to human faces, they present a fantastic opportunity for design. 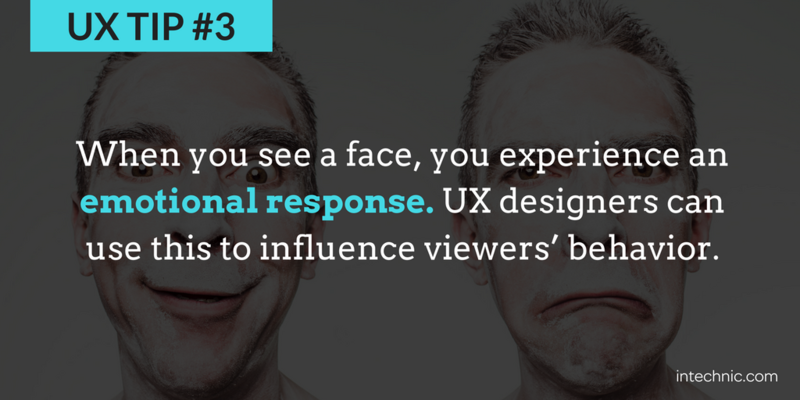 Faces help a designer create emotional and visual impact and influence user behavior. Expressions and line of sight can direct a users’ eyes, create a feeling of shared desire and emotion, or efficiently boil down crowded text. They can create trust and authority within seconds, which is essential in today’s fast-paced web world. 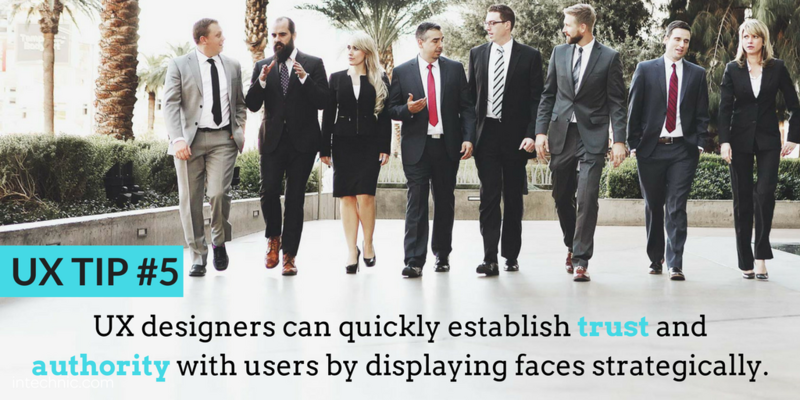 When used successfully, faces are an invaluable tool for designers to expertly shape the experiences of their users.